The Lagoona Resort is India's first environmentally friendly resort in Lonavala. A man-made lagoon with eco-friendly entertainment activities is the highlight of this resort. The Lagoona Resort in Lonavala has committed itself towards providing the best products and services. We are constantly exceeding guest expectations, by employing the best possible environment-friendly methods and practices. The aim is to strike a strong bond with our esteemed guests and achieve the objectives of the resort. The Lagoona Resort is the best among Luxury Resorts in Lonavala. The sense of warmth is enhanced by the picture window with a private balcony that admits natural light and offers panoramic views of the Lonavala's landscape. 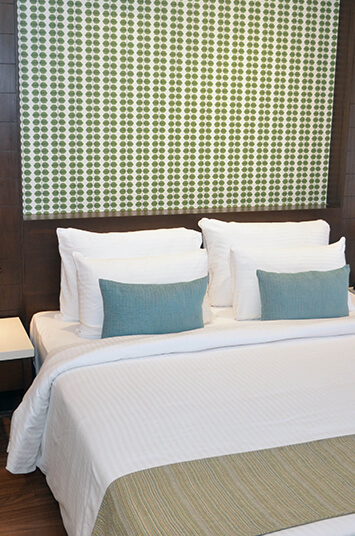 The sumptuous Luxury Rooms are furnished with a king-size bed or twin beds, flanked by bedside tables. Each room of our hotel is provided with fresh crisp bath towels, hand towels, face towels, and bathroom amenities. 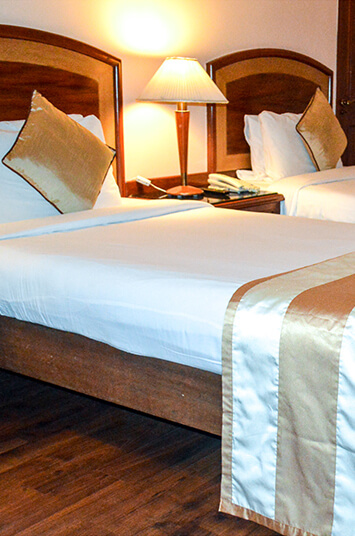 The Lagoona Resort has 103 well-appointed air-conditioned guest rooms to offer you a comfortable to stay in Lonavala. The Lobby of the resort has been made in Polygon shape with umbrella shape wooden roof like a crown. 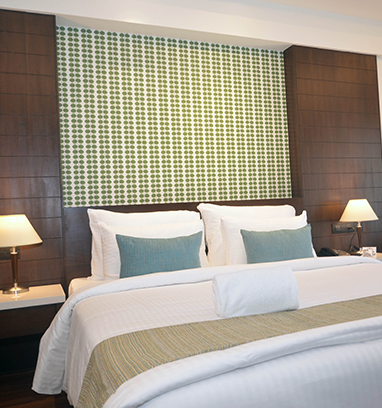 These elegant contemporary rooms are styled to suit the Luxury needs of the Leisure as well as the business traveler. The luxurious rooms has the dark oak wood on the floor. It is complemented by soft tones of the upholstery and artworks on display. The Best moments can be enjoyed during monsoons season; when the fogs make quaint hill town scene to attract the visitors. You can be in the midst of nature and enjoy the valley view. The Lagoona Resort provides a number of facilities and amenities to make your stay comfortable. Facilities - Room service, restaurant, bar, business center, conference halls, internet connectivity, swimming pool, parking and many more. 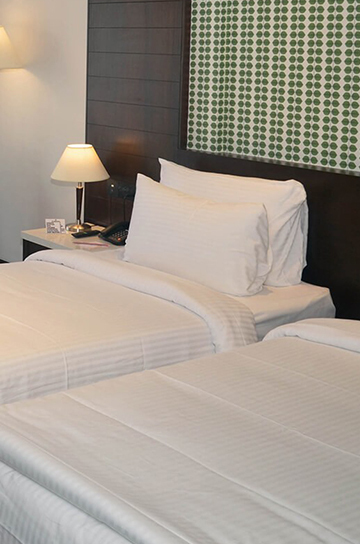 Room’s amenities offered – Tea/coffee supplies, Business stationery, toiletries, Electronic safe. The 103 rooms are divided into four categories, namely Deluxe Room, Executive Room, Executive Suite and Lagoona Suite. 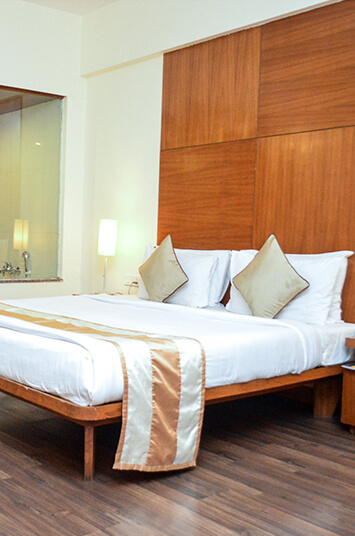 All the rooms and suites are well-furnished and feature modern amenities like television and air-conditioner. Free Wi-Fi access is available in its public areas, while complimentary parking is provided on site. The Lonavala Resort has a restaurant called The Patio, which serves a variety of delectable cuisines to its guests. It also have a Resto-Bar called The Tipsy Horse. Here, you can be in the midst of nature and enjoy your drink with a touch of the tasteful Bohri Cuisine. Lagoona Resort is conveniently located within 1.5 km from the Pune - Mumbai Highway. Lonavala Railway Station is located 1.6 km away, while Pune International Airport is approximately 65 km away. The Lagoona Resort Lonavala offers an array of 84 well-appointed air conditioned guest rooms each equipped with TV, direct dial telephone, internet connectivity, channel music, mini bar, tea/coffee maker, electronic safe and individual temperature controls, to ensure that the guests are comfortable. The lagoona resort is a weekend getaway! We enjoyed our 3 day 2 night stay. The ambience is very nice. The pool is clean and the water was luke warm. There was a small garden. Thi he game zone was maintained. They had carrom, ludo, chess, TT, foosball, airhockey and video games.